It was by pure coincidence that I encountered news of the National Cowboy Poetry Gathering. A short blurb from a New York Times caught my attention and directed me to an article covering the event (linked below). It seemed like a niche celebration of a part of American life that dried up decades ago. I was expecting much more showmanship than substance, but I was amazed by what I found. The National Cowboy Poetry Gathering is an annual gathering in Elko, Nevada where poets, singers, and performers from around the western United States come together to share their tales with one another. This year marked the 35th anniversary of the event and filled the otherwise quiet town of Elko to the brim. Photographs of the crowds show almost perfect matches to the platonic ideal of cowboys, but there is much more to this event than stetsons and neckerchiefs. The narratives these folks had to share capture something that I thought existed only in the romanticized past. The poetry of these cowboys came in varied styles, but they shared some common threads. Nature imagery features prominently in these works, but, rather than portraying it as idyllic and peaceful, these poets sometimes characterize nature as inhospitable and isolating. The scarcity of water and treacherous terrain of the midwest actively makes the job of many cowherders and ranchers in the region much more difficult. However, the poets also acknowledge the beauty in the barren plains and the wildlife that calls it home. Imagery of eagles circling overhead or coyotes howling in the night illuminate many of these poems. The authors succeed in capturing a landscape that is both dangerous and vibrant. The emotion this environment seemed to invoke in these authors is loneliness. Several poems talked of feeling small in the vastness of the Great Basin, far from civilization. Interestingly, companionship seems to be most readily available in animals. Active wildlife and the trusty mounts of these cowboys got special reference and attention from the poets. The relationship with horses was especially prominent in many works. 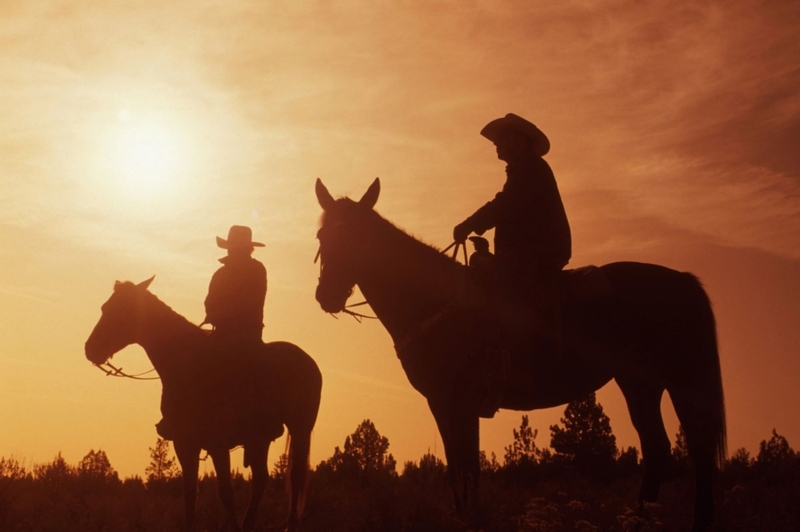 Beyond just companionship, horses are also a critical part of the job for cowboys. Labor is another recurring theme that cowboy poets emphasize. As the title cowboy implies, a career of managing cattle is a keystone to the idea that this festival celebrates. As with many other historical occupations, an idealized version of cowboys have become entrenched in the American mythos. Despite growing up in the west myself, a storybook image of a cowboy was all I had for reference. However, the work of the many participants in the National Cowboy Poetry Gathering showed me a lived experience that was more genuine than I could have imagined. Their writing speaks of an experience that many Americans pay little attention to, but one that is well worth sharing. Despite my newfound enthusiasm for cowboy poetry, I would be remiss in not discussing another group that defines our idea of the west. Native Americans have a long history of oppression and erasure at the hands of the United States, but poets from the tribes are using poetry to share their unique experience. A brief survey of prominent Native American poets revealed works that spoke of destitution and a lost history willfully inflicted on Native peoples. The feelings of sadness and loss ingrained in these poems are painful, but effectively communicate a inescapable reality of western expansion. The history of the west is not just cowboys and the open plain; America sacrificed people and cultures to achieve its so called manifest destiny. This discussion of Native American poetry is not meant to characterize the works of cowboy poets as insensitive or not worth reading. There poems are still beautiful and detail a perspective that feels extremely foreign while capturing emotions that are profound and universal. Native American poetry shows the other side of the coin and reminds us that, while beautiful and inspiring, the west was not invented by white Americans. In the end, poetry remains a tool to help us connect with others. I can only recommend trying something new and encountering something beyond your expectations. Evan Mortimer is a student at Columbia University studying Political Science and English.